Tube Explorer makes it easy for you to search, browse, download, and convert videos from video-sharing web sites such as YouTube, Yahoo video, Google video, MetaCafe, DailyMotion and more. Watch Demo, see how it can make it easier to enjoy videos! Enter your email address here. No Spam, No Junk. ...This list is still in growing... Click here for full list of current supported videos sites! 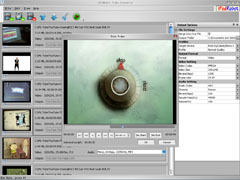 Tube Explorer Lite Edition is a Freeware, Compare with standard edition and download free Tube Explorer Lite Edition. Picture Downloader to help you download ton of pictures from web sites such as Flickr, Imagefap, Photobucket and more. Convert to iPod video from all popular video formats, freeware!. Important: Tube Explorer is intended for use as a personal archiving tool only. Please respect the rights of the copyright holders of any material you get.